↑ 1.00 1.01 1.02 1.03 1.04 1.05 1.06 1.07 1.08 1.09 1.10 1.11 1.12 1.13 1.14 "Wrestler Profiles: Rick Rude". Online World of Wrestling. สืบค้นเมื่อ May 25, 2008. ↑ 2.0 2.1 2.2 ""Ravishing" Rick Rude". WWE. สืบค้นเมื่อ April 7, 2018. ↑ 3.0 3.1 3.2 Oliver, Greg; Steven Johnson (2007). The Pro Wrestling Hall of Fame: The Heels. ECW Press. p. 208. ISBN 1-55022-759-9. ↑ 4.0 4.1 Fahey, Vince. "Rick Rude:Page One". Kayfabe Memories. สืบค้นเมื่อ May 25, 2008. ↑ "Obituaries". Los Angeles Times. April 30, 1999. สืบค้นเมื่อ August 10, 2018. ↑ "Ravishing Rick Rude – Former WWF Wrestler Rick Rude". Allwwewrestlers.com. สืบค้นเมื่อ August 13, 2012. ↑ "This day in history". PWInsider. April 20, 2011. สืบค้นเมื่อ January 3, 2015. ↑ "WWF SummerSlam '90". Internet Wrestling Database. สืบค้นเมื่อ January 3, 2015. ↑ "WCW Halloween Havoc '92". Internet Wrestling Database. สืบค้นเมื่อ January 3, 2015. ↑ "Ricky "The Dragon" Steamboat to induct "Ravishing" Rick Rude into WWE Hall of Fame". WWE.com. สืบค้นเมื่อ March 6, 2017. ↑ "NWA Southern Heavyweight Title (Florida) history". Wrestling Titles. สืบค้นเมื่อ May 25, 2008. ↑ "NWA United States Tag Team Title (Florida version) history". Wrestling Titles. สืบค้นเมื่อ May 25, 2008. ↑ "NWA/AWA Southern Heavyweight Title history". Wrestling Titles. สืบค้นเมื่อ May 25, 2008. ↑ "NWA Mid-America/AWA Southern Tag Team Title history". Wrestling Titles. สืบค้นเมื่อ May 25, 2008. ↑ "WCW International World Heavyweight Title history". Wrestling Titles. สืบค้นเมื่อ May 25, 2008. ↑ "NWA/WCW United States Heavyweight Title history". Wrestling Titles. สืบค้นเมื่อ May 25, 2008. ↑ "NWA World Tag Team Title (Mid-Atlantic/WCW) history". Wrestling Titles. สืบค้นเมื่อ May 25, 2008. ↑ "Nintendo Top Ten Challenege Tournament". Pro Wrestling History. สืบค้นเมื่อ July 28, 2015. ↑ 19.0 19.1 "Rick Rude: Awards". Pro Wrestling Illustrated. WrestlingData. สืบค้นเมื่อ May 25, 2008. ↑ "Pro Wrestling Illustrated (PWI) 500 for 1992". The Internet Wrestling Database. สืบค้นเมื่อ February 13, 2015. ↑ "NWA American Heavyweight Title history". Wrestling Titles. สืบค้นเมื่อ May 25, 2008. ↑ "World Class Television Title history". Wrestling Titles. สืบค้นเมื่อ May 25, 2008. ↑ "WCWA World Heavyweight Title history". Wrestling Titles. สืบค้นเมื่อ May 25, 2008. ↑ "History of the Intercontinental Championship: Rick Rude's first reign". WWE. สืบค้นเมื่อ May 25, 2008. ↑ ""Ravishing" Rick Rude to enter WWE Hall of Fame". www.wwe.com (in อังกฤษ). สืบค้นเมื่อ 2017-03-06. 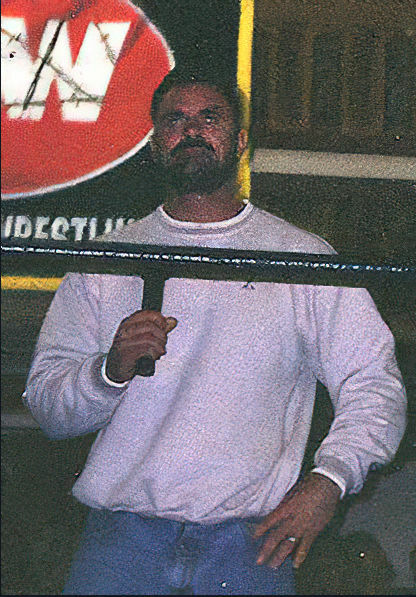 Meltzer, Dave (October 2001). Tributes. Winding Stair Press. ISBN 1-55366-085-4. หน้านี้แก้ไขล่าสุดเมื่อวันที่ 2 ธันวาคม 2561 เวลา 01:30 น.